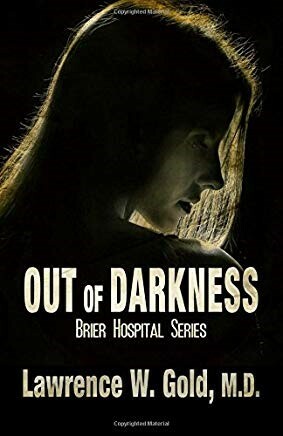 I liked the aspect of Dr. Cynthia Lange’s work in the hospital, with interactions that make her a compelling and memorable character with a will to endure as well as overcome life’s challenges. She is an accomplished doctor competing in a male dominated profession, which proves problematic when a co-worker suggests that Cynthia via for a leadership role over the hospital. One of the things that I found most intriguing was the viewpoint of the doctors. This seemed counter to how most people expect doctors or professionals to conduct responsible people interactions. Leigh Townes has the right tone of voice for this story. She is able to differentiate the characters, though in some places the voice for the same character, like Cynthia, was different from one area to another. In a few cases this made it hard to realize who was speaking, particularly between two female characters. The tempo was consistent with good emphasis on the narrative side of the voice delivery. There were no issues with the production or quality of this audiobook. About the Author: Lawrence W. Gold, M.D. Dr. Gold was born in the Bensonhurst section of Brooklyn, moved to Queens, and then, as New Yorkers say, ascended to the Island. After graduating from Valley Stream Central High School, he went to Adelphi, a college then, a university now, and then to medical school in Chicago. The war in Vietnam interrupted his postgraduate training with a year in Colorado Springs and another as a Battalion Surgeon in Vietnam. While there he spent seven months in the Central Highlands with the 4th Infantry and five months in an evacuation hospital in Long Binh outside Saigon where he ran the emergency room. He returned intact in 1968 to complete my training in internal medicine and diseases of the kidney, nephrology. He worked for twenty-three years in Berkeley, California in a hospital-based practice caring for patients with complicated illnesses often in ICU and served as Chief of Medicine. Dr. Gold wrote professionally as a physician to inform but rarely to entertain, at least not on purpose. He published, Do No Harm in April 2007; No Cure for Murder was released in August 2011; For the Love of God was published in January 2012; and The Sixth Sense in July 2012. 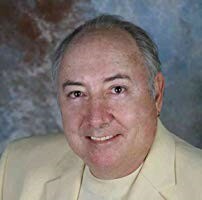 In recent years, he has written screenplays based on his novels, and submitted his screenplay, Rage, to the 80th Annual Writer’s Digest contest and won honorable mention (57 out of 11,000). Out of Darkness was released in January 2016 as a paperback and is now on audible. 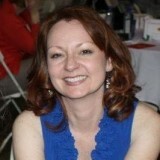 Leigh Townes is a former radio news anchor with 16 years’ experience. She has voiced thousands of audio and television commercials over the years and emceed every type of event possible. Leigh is breaking into the audiobook world as a way to be able to stay at home with my children. She has a professional, kind sounding voice with a touch of Southern class. Her resume of audio-books grows each month.